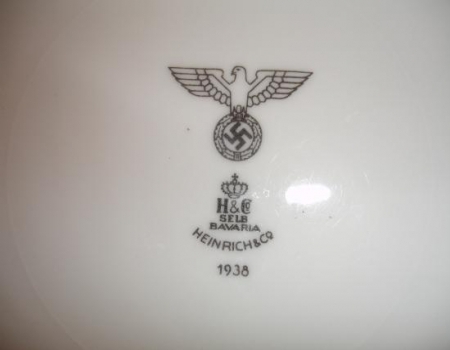 On the left is a picture of the bottom of a German WWII Nazi SS dinner plate that was made by Bauscher Weiden in 1940. 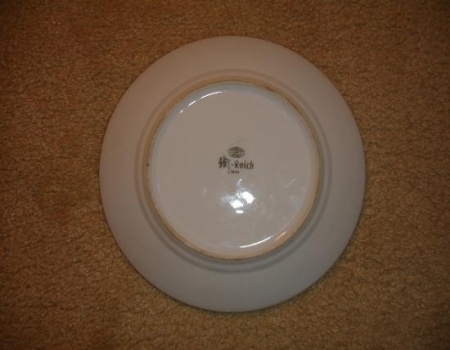 The photograph on the right is a close up picture of the manufacturers marking that is located on the bottom of this plate. 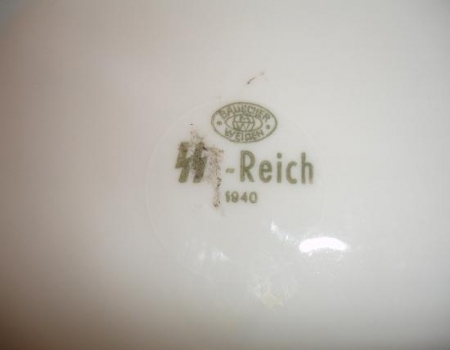 The photograph on the left is a picture of the bottom of a German WWII dinner plate that was made by Heinrich & Company in 1938. 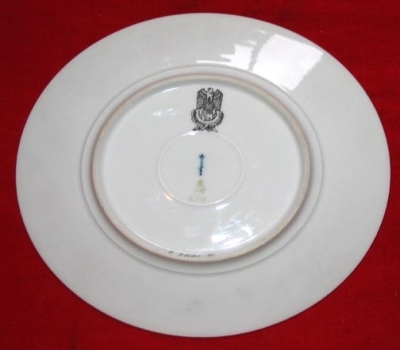 The photograph on the right is a close up picture of the manufacturers marking that is located on the bottom of this plate. 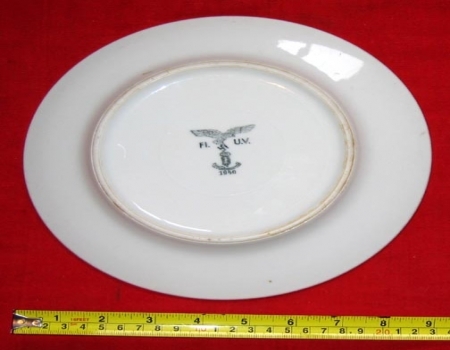 The photograph on the left is a picture of the bottom of a German WWII Luftwaffe dinner plate that was made by Alt Schonwald in 1940. The photograph on the right is a close up picture of the manufacturers marking that is located on the bottom of this plate. 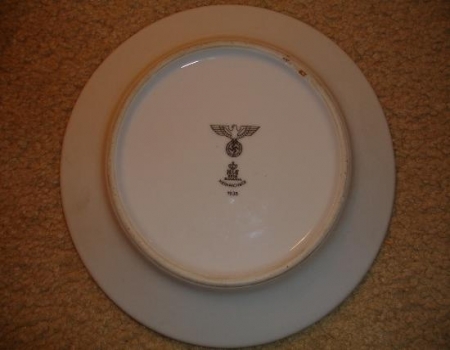 The photograph on the left is a picture of the bottom of a German WWII dinner plate that was made by KPM(Koeniglich-Porzellan). 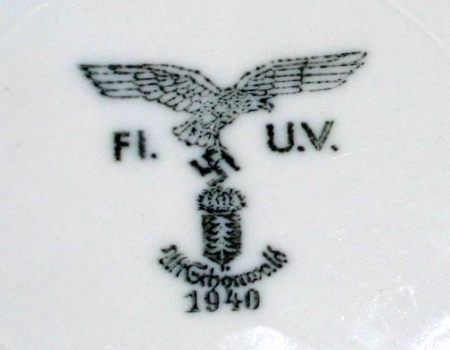 The photograph in the center is a close up picture of the manufacturers marking that is located on the bottom of this plate. The photograph on the right is a picture of the top of the plate. 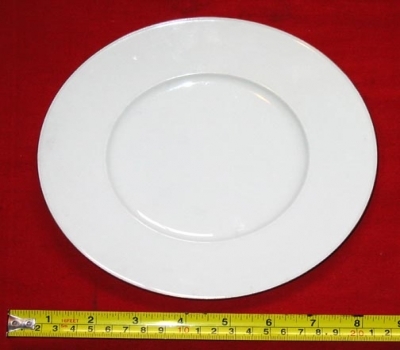 All of the dinner plates pictured on this page have the same design on the top and it would be impossible to tell the plates apart just by looking at the top of the plates.